What is the 6V6 valve? 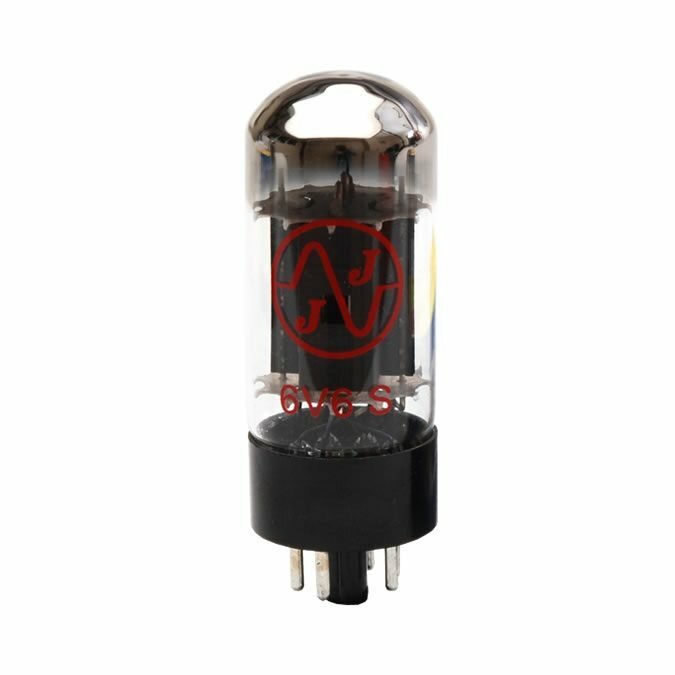 To keep this short article suitable for everybody, even total novices, let me first explain that the 6V6 valve is a power output valve used mainly in audio stages. 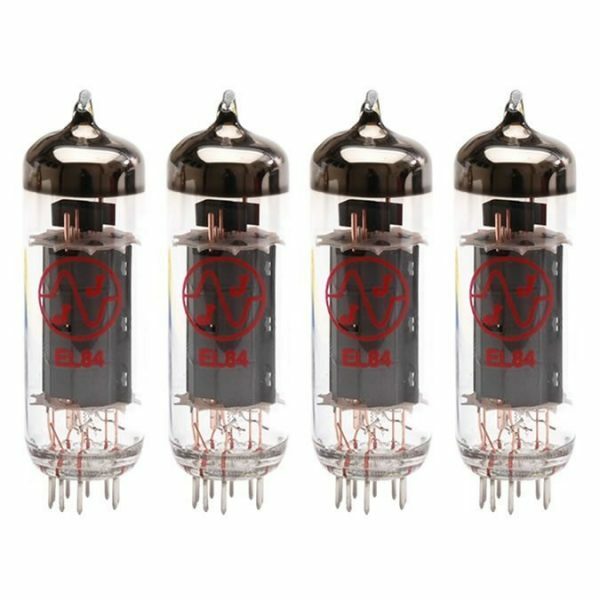 I write these blogs mostly for guitarists as the 6V6 valve is used in quite a few different models of guitar amplifier. It’s the valve in the amplifier which does the ‘heavy lifting’. In this example, the 6V6 valve is the valve which pushes and pulls the speaker cone in and out, producing the final sound. Other valves in a typical amplifier are preamplifier valves. They amplify the small input signal (say for a guitar) to make it large enough to drive the final stage (output) valves – in this case the 6V6 valve. The 6V6 valve is not a very powerful valve. It can produce about 5 Watts per valve of continuous power in ‘Class A’. Without getting too technical, a 6V6 in ‘Class A’ would be a single 6V6 valve (I.e. not a pair of 6V6 valves or a quad of 6V6 valves). Class A is reserved for very low power guitar amps (i.e. 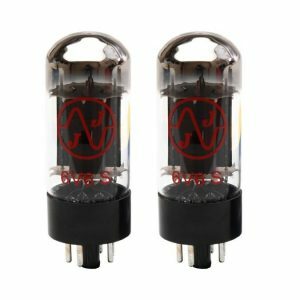 under 5W) and for higher fidelity audio amps because a 6V6 valve running in class A is lower distortion than a pair or quad running in push-pull. Most amplifiers these days run in class AB (also known as push-pull). In this mode, there are either two 6V6 valves or four 6V6 valves. Let’s look at the case of two 6V6 valves. In push-pull, one 6V6 valve pushes the speaker cone out and the other pulls it back in. This is a very efficient system and such an amp can produce about 14W continuous power with 2 x 6V6 valves. Want more power? 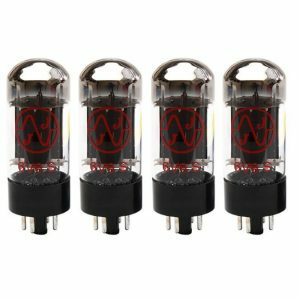 Double up to four 6V6 valves! In this case, two of them push the speaker cone and the other two pull it. You can get, yes you’ve guessed it, about 28W of power from four 6V6 valves in this mode. Want even more power still? Well you could run six 6V6 valves, three per side, but this is getting a bit silly and takes a lot of chassis space. No, instead you’d move up to a higher power valve like the 6L6GC or the EL34. And that’s exactly what they do of course. Do 6V6 Valves Need Biasing? There is no simple answer to this. If your amplifier has a single 6V6 valve then it definitely will not need biasing. It will be running in ‘Class A’ mode. If it has two 6V6 valves, then the amp could be either FIXED BIAS (which means it DOES need biasing! Yes, I know…) or CATHODE BIASED which means it DOESN’T need biasing. I have written a couple of blogs on this subject, so check those out. If you would like to buy 6V6 valves then click on the links below.